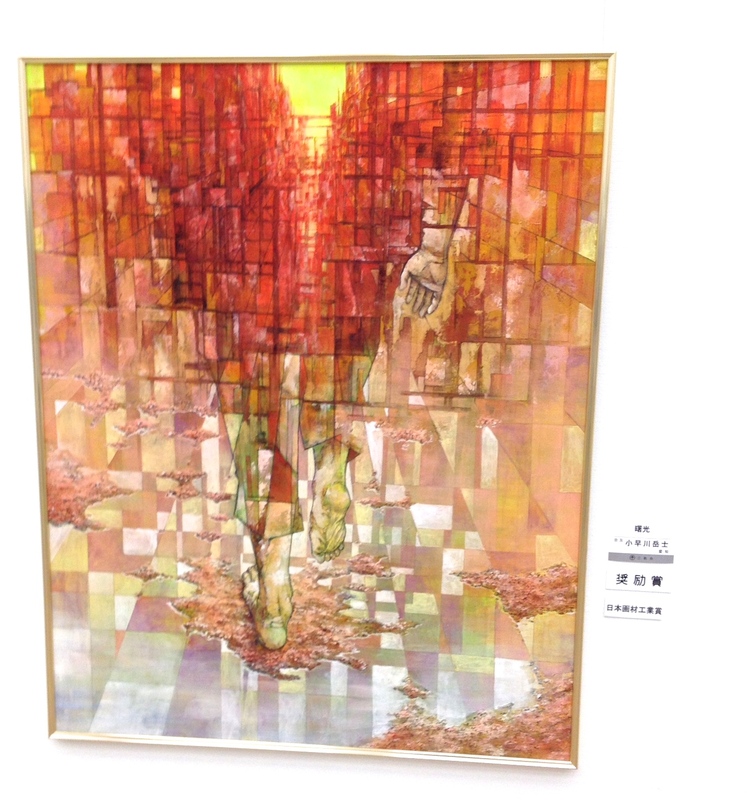 Currently showing at the Tokyo National Art Museum is the 66th Sanki Art Exhibition of painters, sculptors, photographers, metal smiths, ceramic and fiber artists. Big and Bold was my first impression yesterday as I stepped into the gallery of huge, brightly colored paintings. 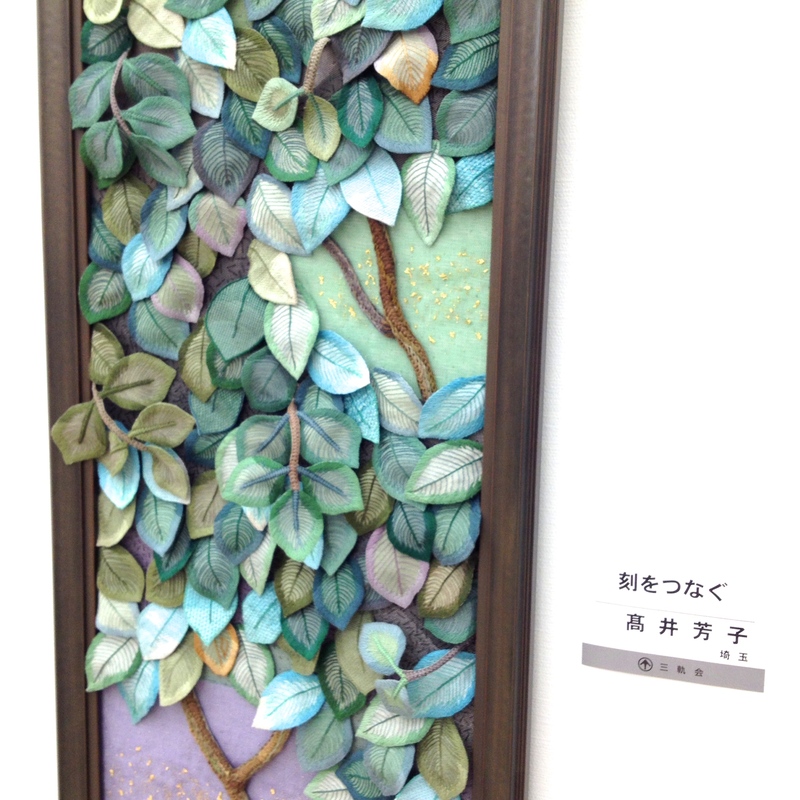 This artist created individual leaves from fabric and added color and embroidery work to create the dimension we would see and feel in a real tree. 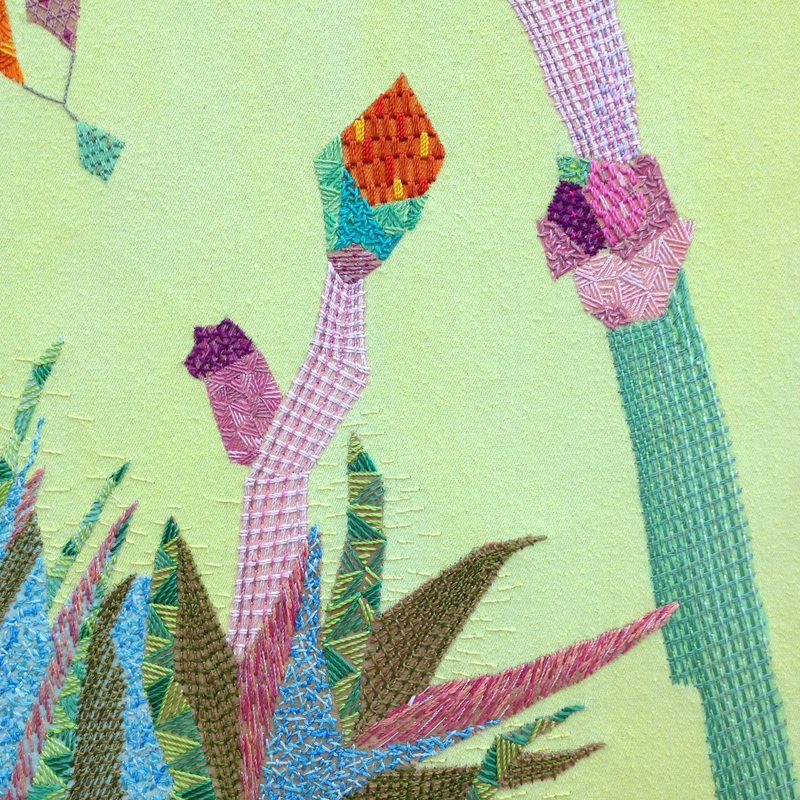 The amount of detailed stitches in this piece must have taken a very, very long time. 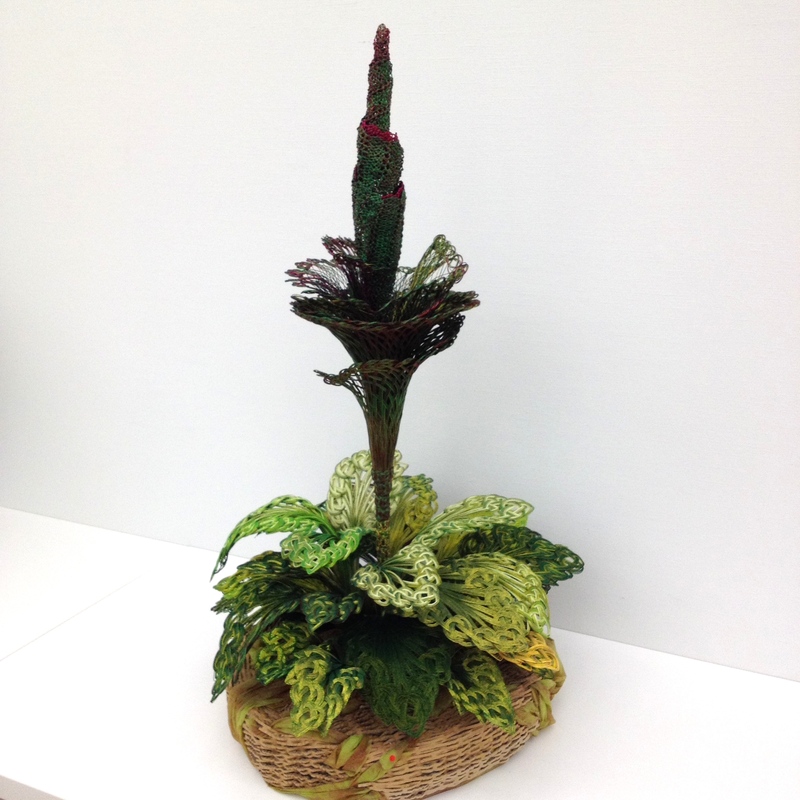 The piece is over a 150cm high and the tweedy plaid pattern details are not material attached but it is the meticulous hand stitching created by the artist. That takes infinite patience. 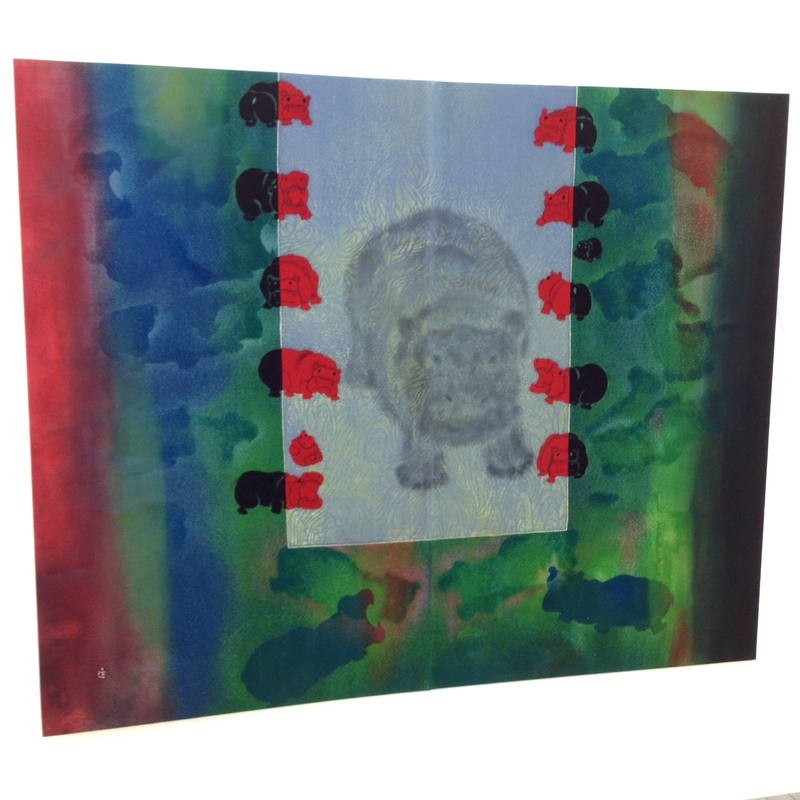 This printed textile of adorable hippos is another big and bold pieces beautifully done. 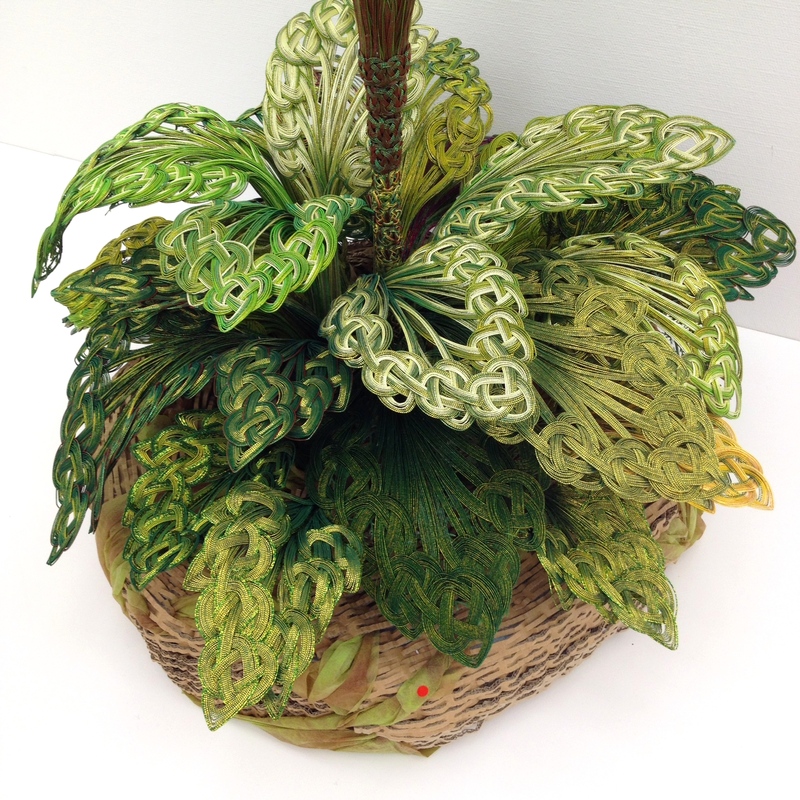 This gorgeous floral sculpture is created completely from the same material used to create the good luck knots on traditional Japanese envelopes given at weddings. A beautiful creative use of this material! 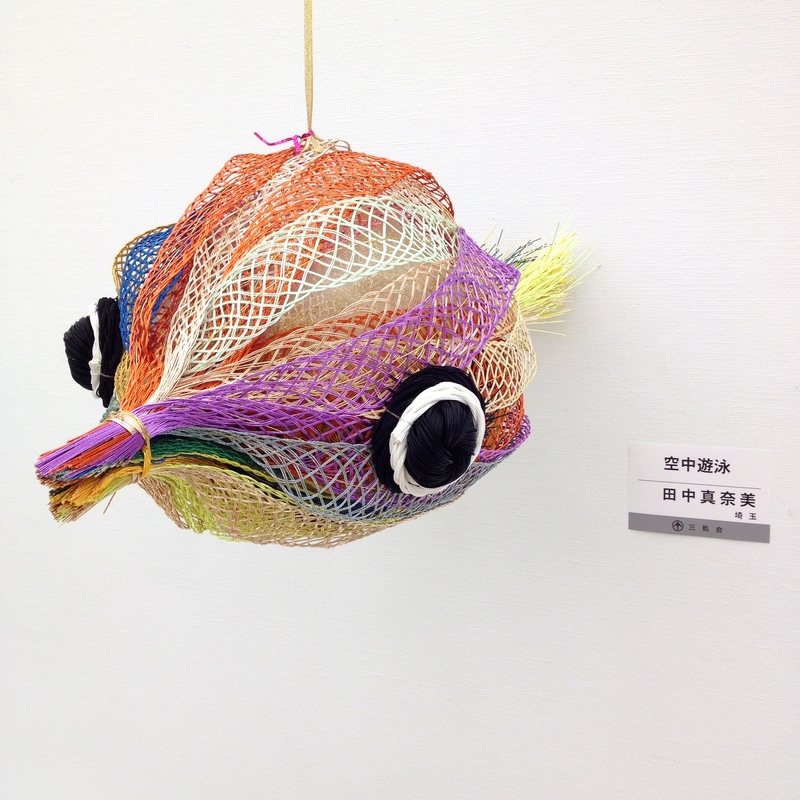 This lonely pufferfish was one of the few whimsical pieces in the exhibition, making it a standout piece for me. 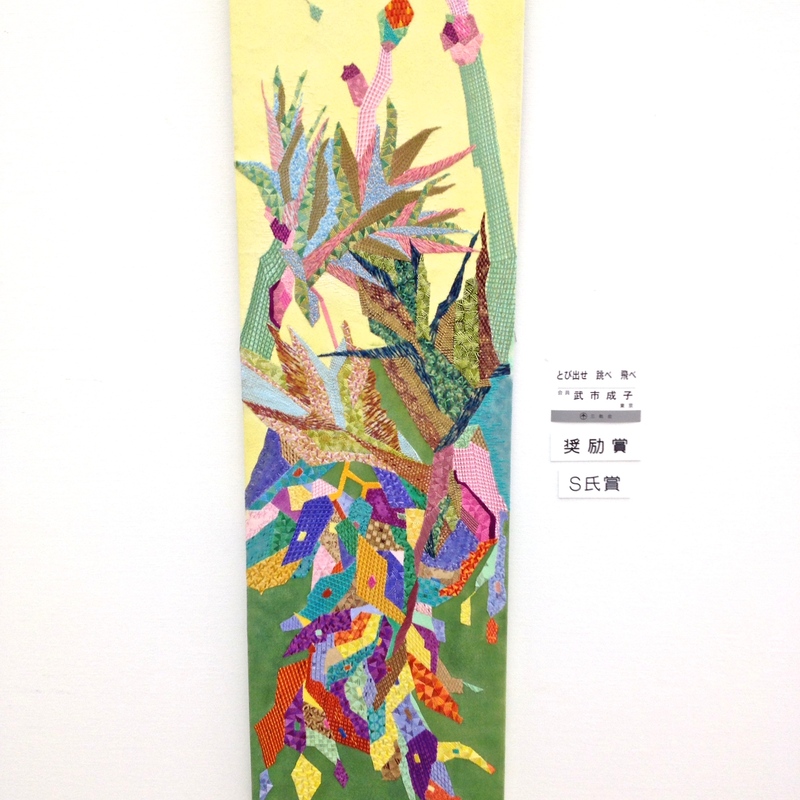 The exhibition is open through Mon, May 26, 2014. I highly recommend it! Art Book: Hand-embroidered Map with Sequins!